We had a steel swing set for several years but our daughter, who turned seven, was getting a little old for the small sliding board the swing set included.We decided it was time to get our daughter a new wooden swing set with all the bells and whistles including a rock climbing board, giant slide, tree-house like perch, swings, and a cool nautical inspired glider. The Woodland Cedar Swing Set we purchased came in three boxes with over a hundred wooden pieces and thirty bags of screws, bolts, nuts, and washers. I thought I could assemble the swing set over one weekend when in actuality took me over a week working evenings and weekends. If I hastily put it together it might have taken half the time. 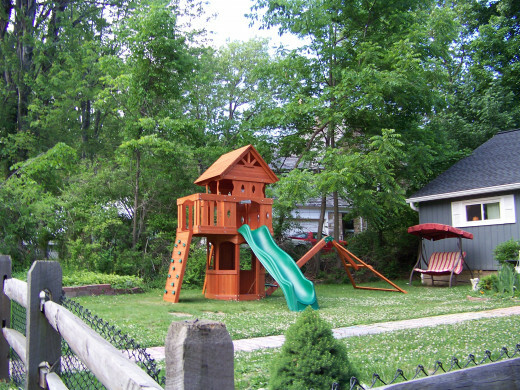 Take your time and properly fit each wooden piece, after all, do you really want to put your child and neighborhood children in danger with a haphazardly assembled swing set? Sometimes you have to loosen a part you already attached to the swing set in order to fit the newly installed piece. This is the swingset that I assembled in this Lens! 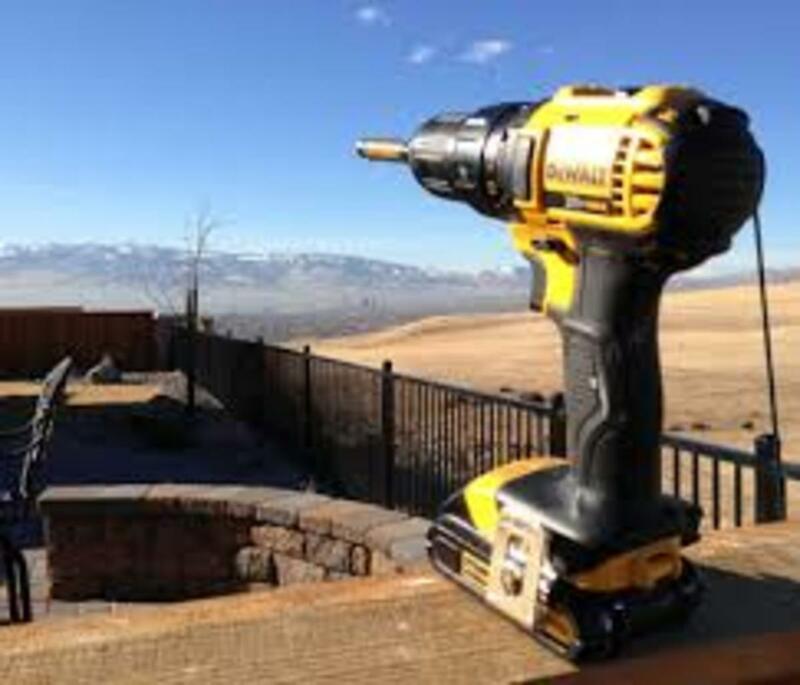 Drill pilot holes when installing self-tapping wood screws! 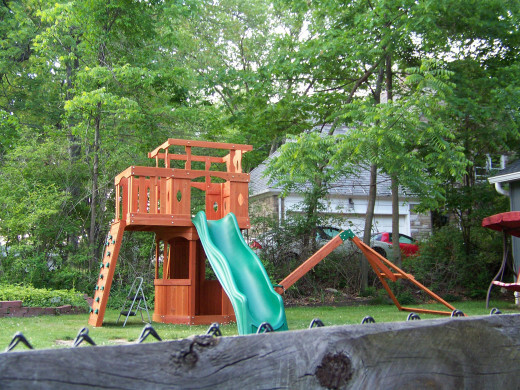 Most wooden swing sets are made of cedar. Cedar is used because it is naturally bug, decay, and rot resistant. In addition, cedar has a good strength to weight ratio making it light enough for the average homeowner to hoist the wood girders in place. The downside is that cedar splits easily when driving self-tapping screws into place. The solution to this problem is to drill a pilot hole where you will be sinking the screw. The pilot hole should be slightly smaller than the shank of the screw. Drill too big of a hole and the screw could easily pull free. You will dramatically reduce the number of split wooden pieces by drilling pilot holes. 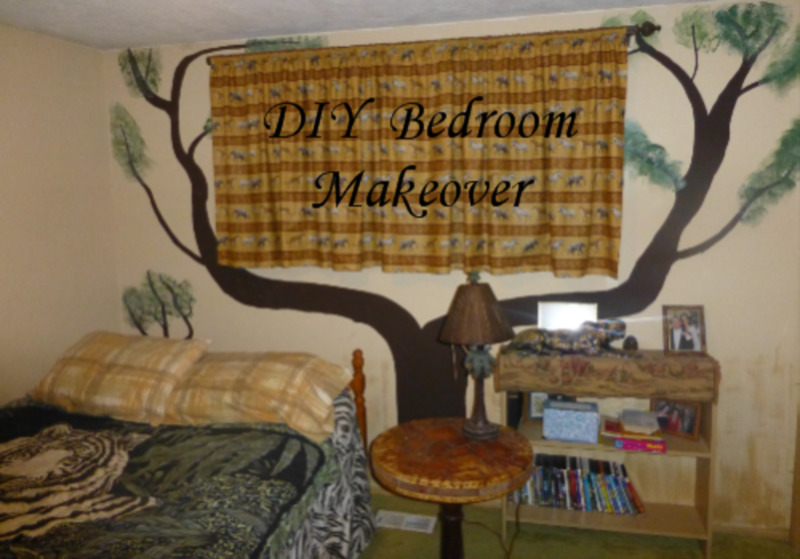 Have two cordless drills handy at all times! As mentioned, it is important that you drill pilot holes before driving self-tapping screws into cedar otherwise you run the risk of splitting the wood. I purchased a second drill specifically for this project. 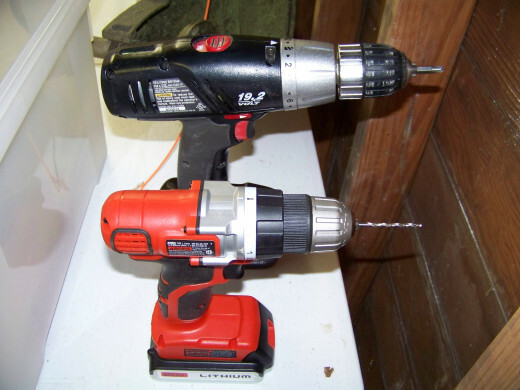 I use one cordless drill to drill the pilot holes then the second to install the self-tapping screws. This has saved me a significant amount of time as I no longer have to constantly switch between drill and Philips bit. This is the drill I purchased in order to aid in the swing set assembly process. I don't know about you, but I don't like to bake in the summer Sun while assembling a swing set. Even in Ohio with our mild summers, rarely does it get above 90 degrees, the summer Sun around noon can really take the wind out of your sails. 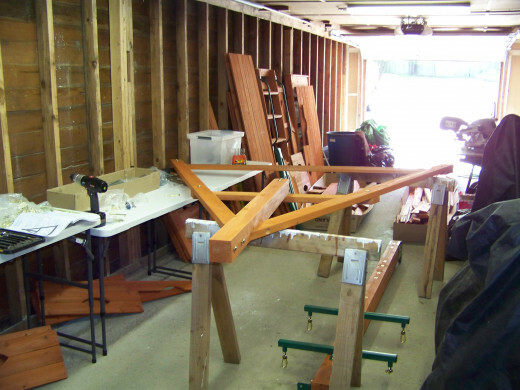 So I create a workshop in the garage an try to assemble as much as possible before taking it out to the work site, the final location of the swing set. In the garage I setup several folding tables, one for all the little bags of fasteners, another table to be used to put together small wooden assemblies. A third table for all of the tools I need to assemble the swing set. I also have two saw horses. 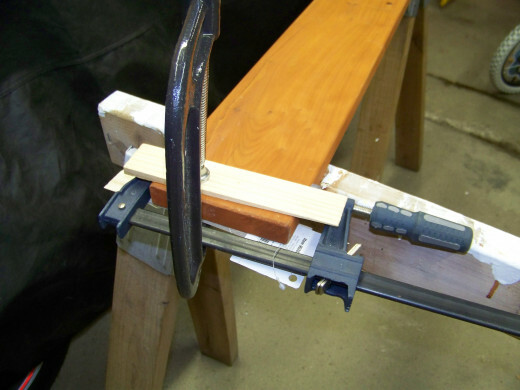 The saw horses are great "back savers" and allow you to assemble the larger wooden swing set parts at waist level. It is important to have the right tools at the job site. In this case the job site is the final location of the swing set. 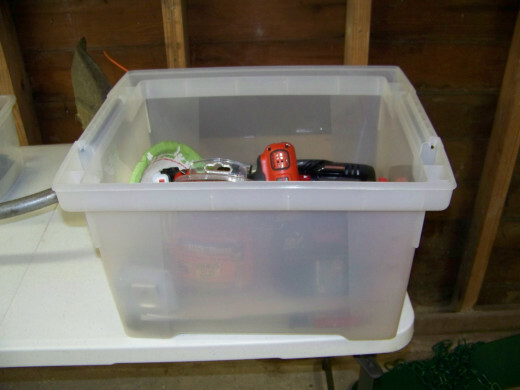 This will reduce the numbers of trips to your garage or basement to retrieve tools. The swing set owners manual will tell you the tools required for assembly but some times their recommendations are overkill. Here are the tools contained in my tool kit:-Square with built in bubble level-Tape Measure-Two Cordless Drills-Drill Bit Set-Philips bit for drill-Various Torx bits (came with swing set kit)-Various Torx wrenches (came with swing set kit) -Philips Screw Driver-Claw Hammer-Rubber Mallet-Tourniquet (just kidding)I used a plastic storage container to hold all of the tools in my tool kit. I also carried some of the smaller wooden parts in this container as well. 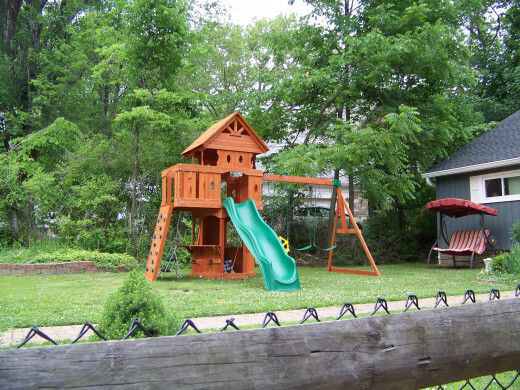 At a certain point, the swing set sub assemblies are going to be too big and heavy to put together in your garage workshop and you will have to assemble the rest of it at the job site. I perform most of the work on the swing set in the evenings for an hour or two before our local mosquito population comes out. In order to best utilize my time, I set aside all of the wooden parts and fasteners required to do the task at hand the night before. This allows me to get the maximum amount of swing set assembled in the shortest time. 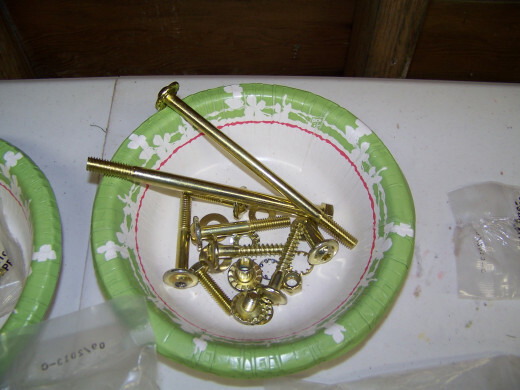 I place all of the fasteners I need the next day in disposable paper bowls. Avoid the temptation to take shortcuts! After day five of the swing set assembly you start to get tired and you'll look for shortcuts like omitting installing lock and flat washers. Avoid these shortcuts at all costs! 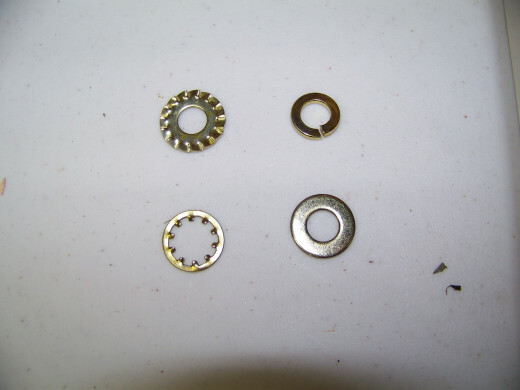 The lock washers prevent the bolts from working their way loose after continuous play while the flat washers add strength and rigidity to the bolt head by giving it more contact surface area to the wooden part. It is imperative that you add the proper lock and flat washers where specified in the instruction manual. 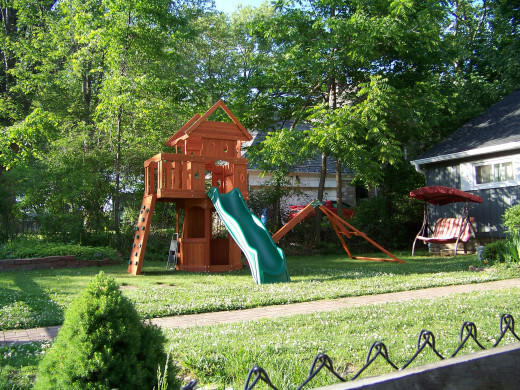 Once assemble most wooden swing sets are significantly heavy and don't move giving parents a false sense that it will not tip over. All swing sets come with a ground stake safety kit.......USE THEM. 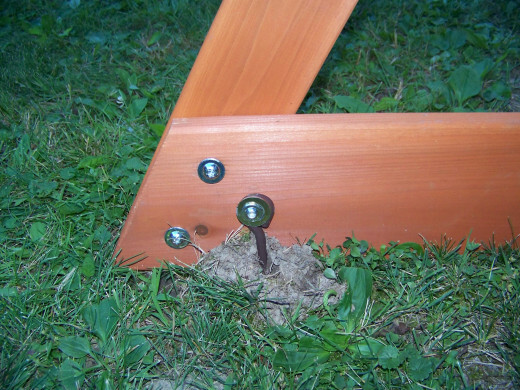 Install the grounds stake as recommended then affix the ground stakes to the recommend tie points in the manual using a bolt or steel cable. 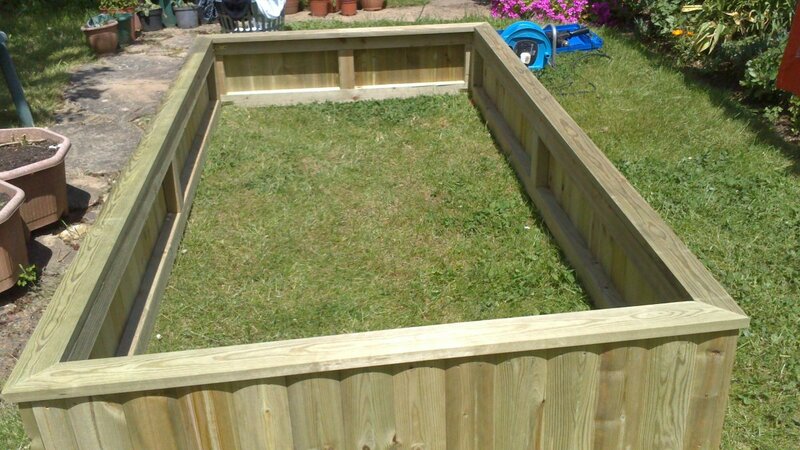 In some cases not installing the ground stake could void the manufacturers warranty! A wooden part is split or cracked, what should I do? In most cases, the manufacturer will replace split or cracked wooden parts at no cost. It fact, some manufacturers will replace a cracked or spit wooden parts, at no cost, up to a year from the original purchase! After a year you may be required to pay a prorated amount for replacement parts. 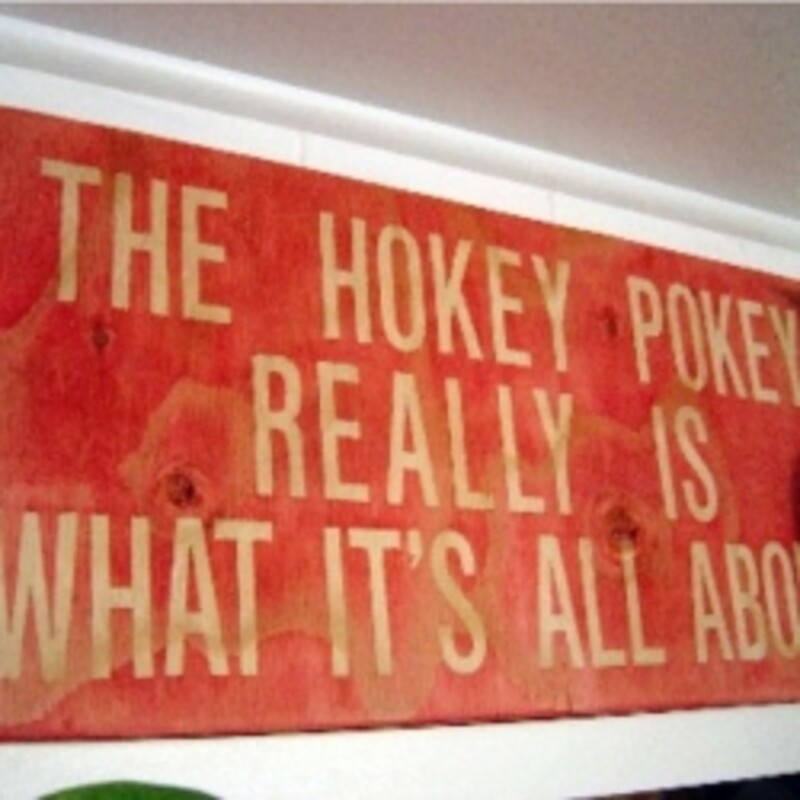 If no warranty exists, you can always glue the wooden parts back together. Make sure you apply a nice coat of wood glue to the mating surfaces then clamp in place an let dry overnight. 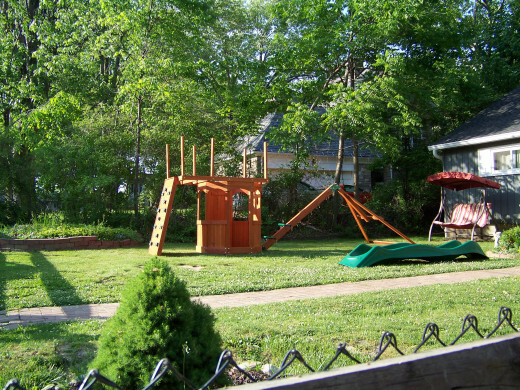 Never glue wood pieces that are load bearing or are a major structural part of the swing set. These parts should be replaced if split or cracked! 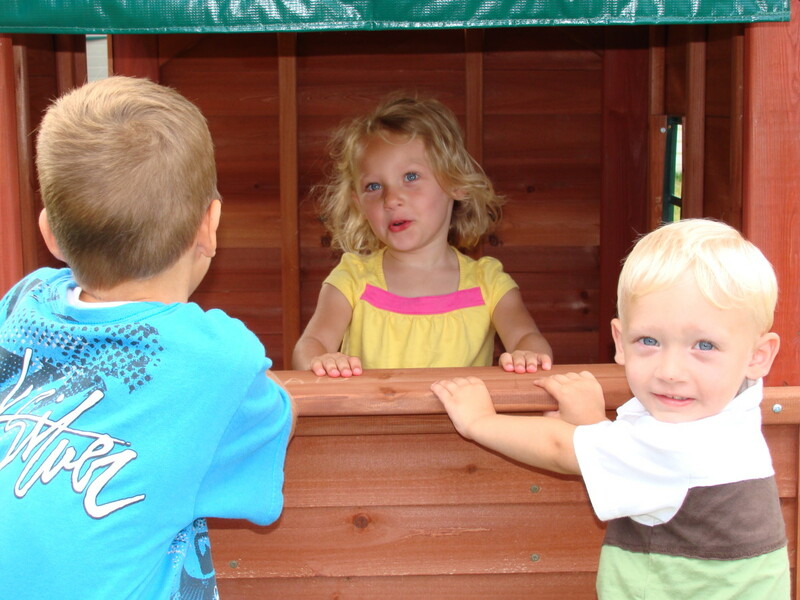 Apply sealant to your Wooden Swing Set! 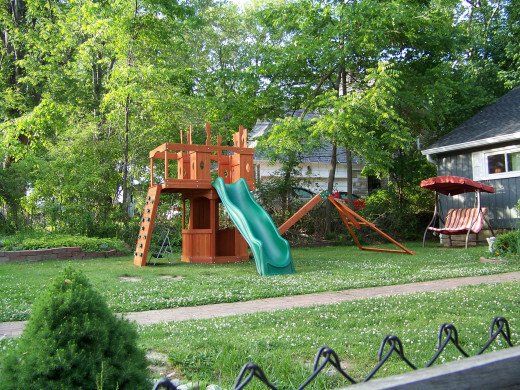 You spent a lot of money and time assembling a wooden swing set. Protect your investment by applying a with a water or oil based sealant. 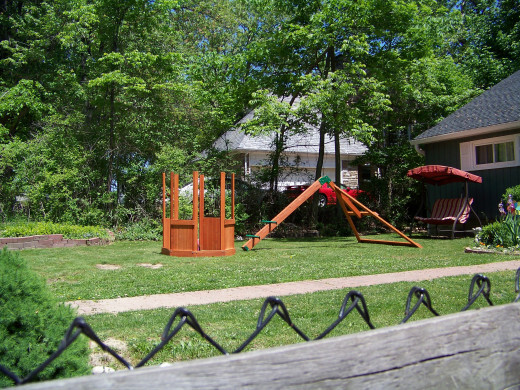 Most wooden swing set manufacturers recommend reapplying sealant every year. What a great gift for any child. I can see how this would take some time to build. Good you had space to work on it a little at a time. Really nice set, I like the seating area for snacking. The photos and instructions were helpful as well. That's a very nice job you have done there - I am sure your daughter loves the set. I love your idea of a "mild" summer, not going above 90. Where I live, a hot summer's day is anything over 70! That is a very good idea - having two cordless drills, one for drilling and one for screws. Think I will have to "borrow" that idea.